Corner of High & Bond Streets. Opened 1839. 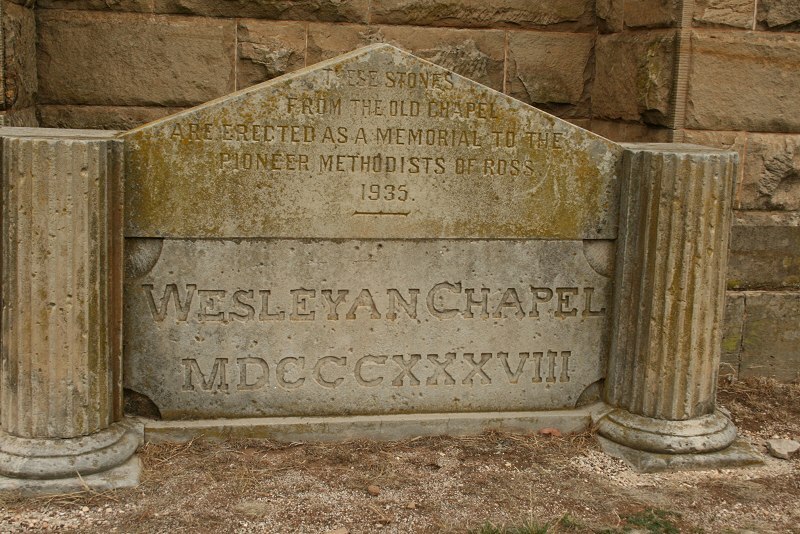 The date stone above is now located at the larger church that replaced the chapel in 1885. 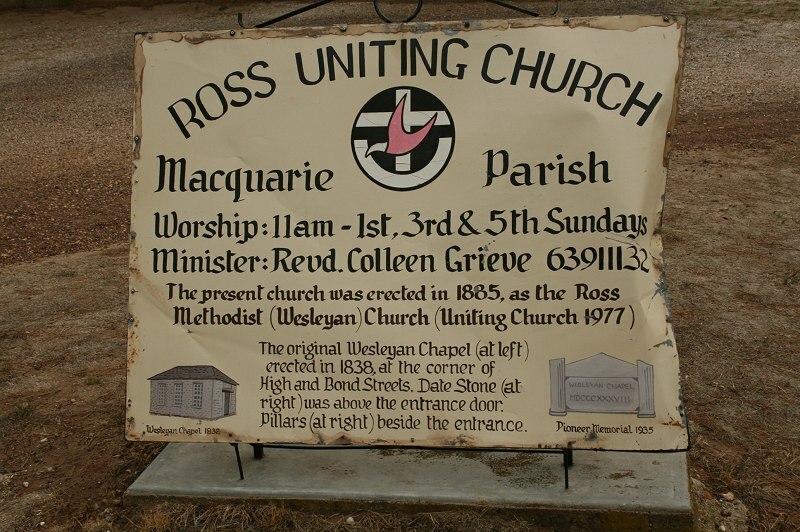 The foundation stone of a new Wesleyan Chapel was laid at Ross Bridge on Monday last, by B. Horne, Esq., J. P.
service to commence at three o’clock in the afternoon. 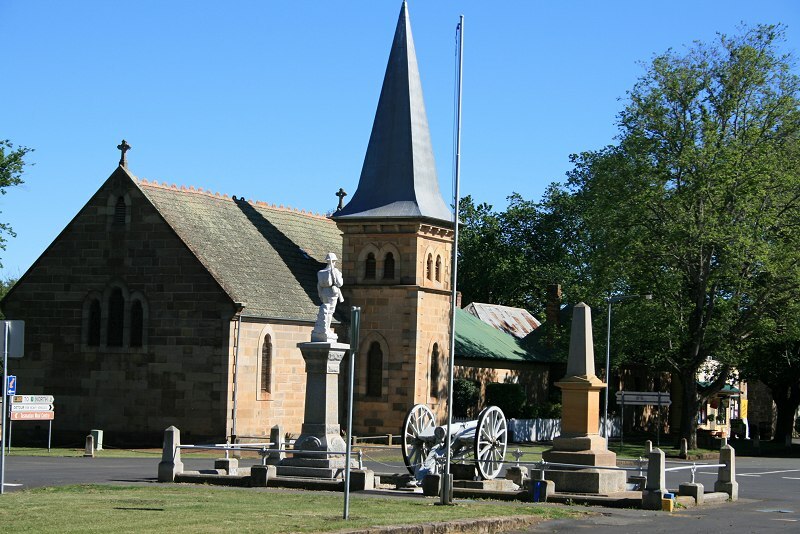 The Wesleyan Chapel at Campbell Town, will be opened for Divine Worship on Sunday, the 29th instant, when a Sermon will be preached by the Rev. J. Water house. Service to commence at eleven o’clock in the morning. A Collection will be made at the close of each service, in aid of the funds of these Chapels. Photo of ruined door and part of interior (page 18). Drawing of chapel, referenced in photo of door. Sign outside current Uniting Church. 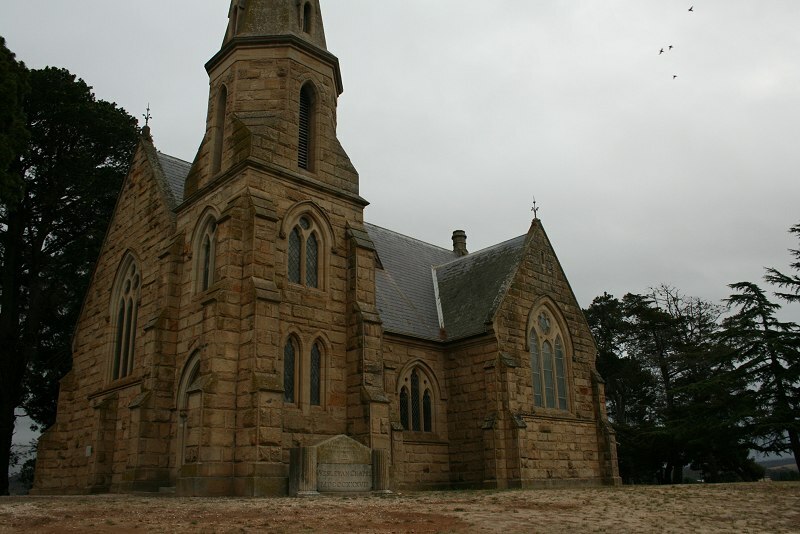 Opened in 1885, replacing an older chapel. 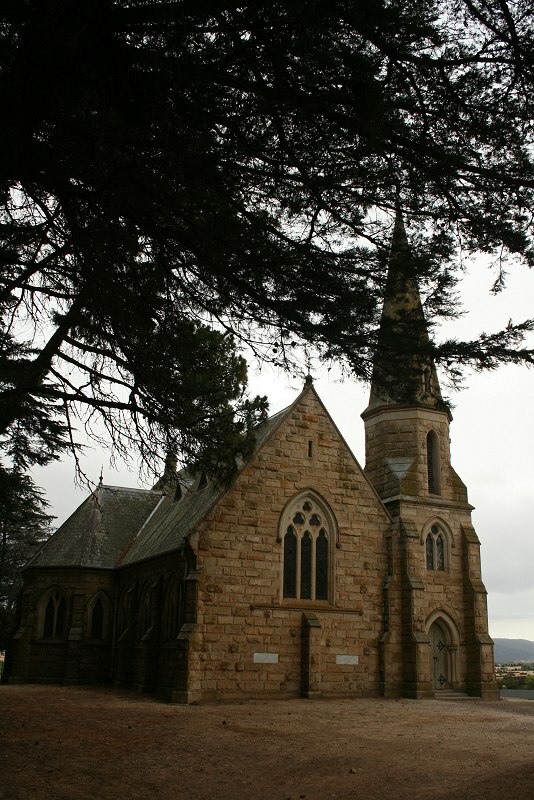 The old sanctuary, in which the Wesleyan Methodists of Ross and its neighbourhood have worshipped for nearly half a century, and which has became endeared to them by the associations of the past, being found unsuitable for present requirements, and the building itself fast falling to decay, it was therefore decided in the month of May, 1870, the Rev. F. E. Stephenson being superintendent of the circuit, to commence as soon as practicable the erection of this building, of which today two memorial stones are to be laid, one by Mrs. Horton, relict of the late Samuel Horton, Esq., of Somercotes, and one by Mrs. Parramore, relict of the late Thomas Parramore, Esq., of Wotmore and Beaufront. A movement is on foot to build a Roman Catholic church here. It is understood that a fair is to be in August to provide fund, and several substantial donations have already been promised for the object.